There are 141 Weekend job vacancies in KwaZulu-Natal available immediately, compared to 85 in eThekwini. Companies presently offering Weekend job vacancies in KwaZulu-Natal include AMPATH, Dis Chem Pharmacies, Private Property.. The largest category under which open Weekend jobs are listed is Other/General Jobs, followed by Healthcare & Nursing Jobs. 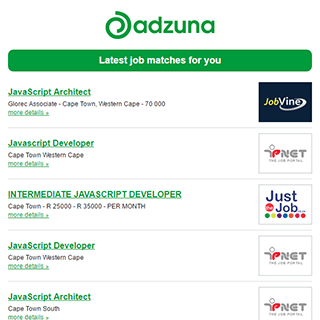 Get the latest Weekend Jobs in KwaZulu-Natal delivered straight to your inbox!